As allergy season has moved into full effect across the Mid-South, many have been looking to Mother Nature for some relief from the pollen-filled air. Well, the relief arrives late Tuesday night with lots of rain to come, perhaps too much for our ground to handle right now. Let’s break down the coming wet weather for the Memphis area. So when does the rain begin? The HRRR model shows the rain arriving in the metro shortly after midnight tonight, and hanging on throughout much of your coming Tuesday. Some periods of rain could be heavy at times, especially overnight and into early Wednesday morning. A few thunderstorms will also be possible in this batch of rain. While there may be a brief break in the rain intensity Wednesday, there is a high likelihood of more rain and a few thunderstorms overnight Wednesday into Thursday. The key takeaway – be prepared for a wet 36 to 48 hours. Flood Watches have been issued through Thursday morning over the entire metro area ahead of this slow-moving system. The rain should finally abate once the cold front makes its final push through Thursday night. Perhaps the biggest threat with this wet pattern for the next two days is the amount of rainfall coming. The Memphis area will likely be measuring the rain in inches over the next 48 hours, with 2 to 4 inches of rain not out of the question. 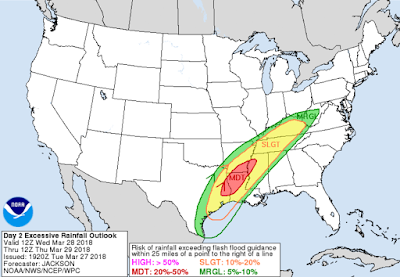 The Weather Prediction Center (WPC) puts the metro in a slight (10-20%) chance of excessive rainfall for Wednesday morning through Thursday morning. 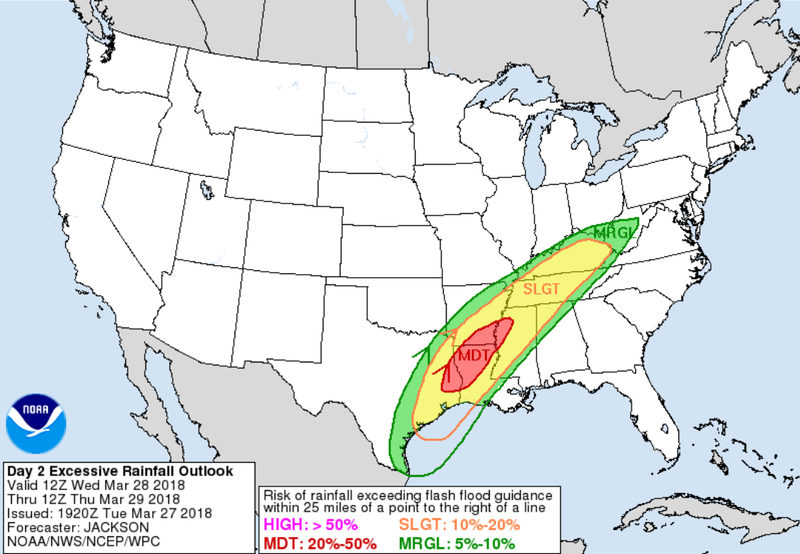 The Weather Prediction Center (WPC) shows a 10-20% chance of excessive rainfall for all of the Mid-South region Wednesday into early Thursday. There will also be a low-end severe threat to contend with on Wednesday. 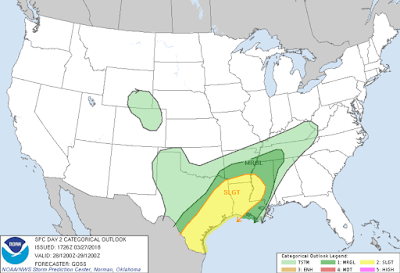 The Storm Prediction Center (SPC) puts Memphis and the surrounding area in a marginal (1/5) risk for severe thunderstorms, which could include heavy downpours, lightning, strong wind, and perhaps small hail. We do not anticipate a strong tornado threat with this system. The Storm Prediction Center (SPC) puts Memphis and the surrounding area in a marginal (1/5) risk for severe weather on Wednesday. After the cold front pushes the rain out of the picture on Thursday night, expect much clearer conditions to begin your holiday weekend. Good Friday looks good for the weather too, with mostly sunny skies and high temperatures near normal in the mid 60s. Saturday looks quite similar as well, with highs in the upper 60s. Lows both nights drop to the mid 40s. The next chance of rain is more scattered, but could but a slight damper on those Easter Egg Hunt plans on Sunday. Already looking ahead to your Easter Sunday plans? Stay tuned to MemphisWeather.Net on Facebook and Twitter for all the latest on the forecast. 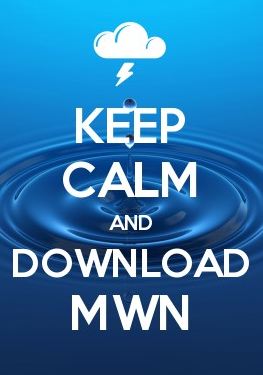 You can also check our human-verified forecasts online and on your phone with the MWN app. Team MWN will keep you covered throughout the rest of your week and over the holiday with all the weather for the Mid-South region.